As US forces prepare to pull out, are we leaving Afghanistan on the brink of chaos and civil war? As the United States moves closer to the withdrawal of its troops from Afghanistan by next year, it’s been widely reported that neither the Afghan police nor the army, nor the local security forces in the provinces, are anywhere close to being ready to take over. But a new report from the Center for Civilians in Conflict, based on hundreds of interviews conducted across Afghanistan, says that the Afghan forces are also failing to protect Afghan civilians from harm. “The capacity of the Afghan government and security forces to prevent and respond appropriately to civilian casualties is woefully underdeveloped,” says the report. That’s not to absolve the United States and the rest of the International Security Assistance Force troops for the massive harm they’ve caused since 2001 to Afghan civilians, with tens of thousands of innocents dead. But Afghanistan has a legacy of brutal, no-holds-barred civil war, in which hundreds of thousands of people perished. Gangs, militias and warlords—including the Taliban—waged war against their own people, callously slaughtering them. As the United States and its few remaining allies depart, there’s every chance that Afghanistan could fall back into an early 1990s–style civil war, in which the very army and police forces that the United States has recruited, armed and trained will once again kill civilians willy-nilly. Numerous flaws limit the Afghan government’s ability to ease the suffering of its population and garner popular support. The problems begin immediately following a civilian casualty incident, as the ANSF infrequently investigates what happened and who was harmed, leaving many civilians who would otherwise be eligible for monetary payments overlooked. Any investigations that do occur are largely ad hoc. Infrequent reporting of civilian casualties by Afghan forces, poor access in territory controlled by armed groups, as well as the reluctance of some Afghan officials to acknowledge civilian harm caused by the ANSF, all impede investigations. Our research suggests that ANSF policies for investigating civilian harm are poorly adhered to in practice. Among civilians we interviewed that were harmed directly by the ANSF or in an armed clash involving Afghan and other forces, none reported that their case was investigated or managed appropriately. Some interviewees had appealed directly to Afghan officials or ANSF commanders, but even they failed to garner acknowledgement of their losses or an investigation. The police came to our village with so much anger and they took the revenge of the Taliban out on us. They came and said, “let’s kill these Kandaharis.” They killed my son Munir and injured my other son Ahmed. The people who killed and injured my son—they are my neighbors. We are not safe in this place from the police. He went on his motorbike with his friend to the bazaar to get fruits and vegetables for the family. On the way back, they [Afghan forces] stopped them and shot both of them for no apparent reason. After that, they [Afghan forces] wouldn’t even help them or give them juice. They just left them by the side of the road to suffer. No civilian harmed by ANSF that we interviewed reported that their case was investigated or managed appropriately. Infrequent recognition and financial support for civilians harmed by the ANSF is the most prominent flaw in the Afghan response to civilian harm. The overwhelming majority of civilians we interviewed that suffered harm attributable to the ANSF, or caused during an engagement involving Afghan forces, did not receive a monetary payment for their loss, injury or property damage. In addition to interviews with civilians, several Afghan provincial officials and human rights workers acknowledged this problem. 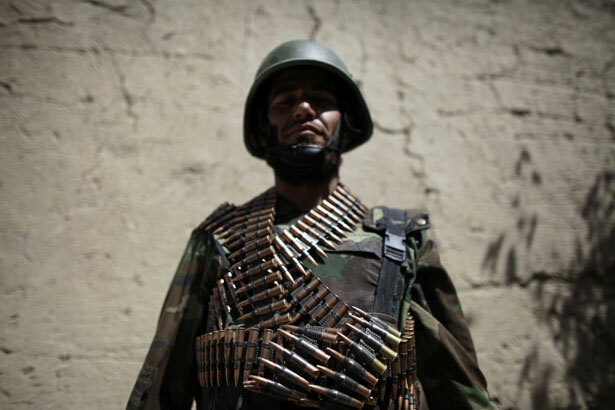 Previous reports published by the Center for Civilians in Conflict, AIHRC, and other human rights organizations in 2008, 2009, and 2011 also found that Afghan monetary payments were rarely if ever provided to civilians harmed by Afghan forces. The Afghan President’s Office did not respond to requests by Center for Civilians in Conflict for comment on this issue. The report includes a long list of recommendations to the Afghan government about how to approach the problem of civilian harm. Compared to the unbridled atrocities that marked Afghanistan’s recent past, the current state of affairs, as bad as it is, is an improvement. But if violence intensifies after the withdrawal of US forces, as expected, the ethnic and sectarian divisions with the still-tribal ANSF and the political conflict with a resurgent Taliban force could lead to a rapid deterioration.